We’d love your help. Let us know what’s wrong with this preview of What Jennifer Knows by Wendy Janes. To ask other readers questions about What Jennifer Knows, please sign up. 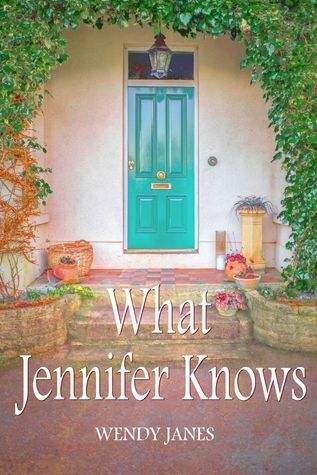 'What Jennifer Knows' is a subtle and shocking tale of modern family life and relationships. Sensitively drawn characters charm us but we, like them, are unsure who to trust. The shifting nature of loyalty and love is portrayed through searingly honest glimpses into the characters' lives, both past and present. The children in the novel are beautifully drawn and the way Tim's siblings give him the acceptance and understanding he needs is both heart-breaking and wonderful. As the complex plot deepen 'What Jennifer Knows' is a subtle and shocking tale of modern family life and relationships. I loved reading this contemporary fiction novel as Jane's builds up the characters in a compelling way and makes them all like able but to differen Jennifer Jacobs meets Freya by chance in a supermarket. Freya is open and friendly and tells Jennifer all about her plans to propose to her boyfriend, as the friendship between the two women grows, Jennifer becomes acutely aware that Freya has something vital in common with her old friend Abi, putting her dead centre in the throws of a moral dilemma. I loved reading this contemporary fiction novel as Jane's builds up the characters in a compelling way and makes them all like able but to different degrees. Jennifer I found hugely likeable and a bit of an underdog, but I wouldn't want to be in her shoes facing the choices she has in this novel. When Jennifer meets Freya at t Jennifer is the friend everyone should have. Do you have a secret? Jennifer can be trusted to keep a confidence. She divides her time among the things most important to her – her grandchildren, husband, friends, and her part-time job as a dance therapist teaching children with special needs. But her relationship with her daughter Blythe is strained. They both have a lot to work out before they can have the easy relationship Jennifer longs to have with her daughter. To say this is an easy book to read could sound derogatorily, but, believe me, that is not what I mean; the author’s writing style is relaxed conversational and draws the reader in. The story is told mainly in the first person from the protagonist’s point of view (which gives us an insight to her opinion and relationship with the other characters), but there is also omniscient narrator’s viewpoint from the ot I started off liking What Jennifer Knows by Wendy Janes; I finished the novel loving it. To say this is an easy book to read could sound derogatorily, but, believe me, that is not what I mean; the author’s writing style is relaxed conversational and draws the reader in. The story is told mainly in the first person from the protagonist’s point of view (which gives us an insight to her opinion and relationship with the other characters), but there is also omniscient narrator’s viewpoint from the other characters’ point of view. The clever use of texts between three of the characters, the flashbacks that reveal the protagonist's past, are innovative and revealing. It sounds complicated but it works so well. The dialogue is true to each character and is skilfully handled, especially the internal dialogue of the character of Freya, a vulnerable young woman, susceptible to self-doubt and with a dread of returning to the mental unstable state she once found herself in - and of Jennifer's friend, Abi, an outwardly confident career woman. And, as the story progresses, the initial portrayal of all the characters subtly changes as their personalities are truly revealed. If I have any reservations about the novel it's the instant friendship between, Jennifer and Freya, And the speed with which it grows. Yet, on reflection, I suppose, given the inner need of both these characters, it is plausible. I have absolutely no hesitation recommending What Jennifer Knows. It's a lovely début novel from Wendy Janes. JULIE: What inspired you to write What Jennifer Knows? WENDY: What Jennifer Knows was inspired by a real-life situation. My parents were friends with two women who knew nothing about each other, and it became apparent that the two women had something in common. Deciding whether to say anything to one or both of the women, or remain silent, led to lengthy debates about the right course of action, but in the event it was all taken out of my parents’ hands. The whole drama was intriguing, and the many “what ifs” and “if onlys” occupied my thoughts. But how could I turn a series of enticing scenes into a novel? Whose story was I telling? Finally, I focused on one stand-out “what if” that was particularly delicious. The urge to write that scene gave me the impetus to put pen to paper and freed me up to let my imagination run with the story of Jennifer’s dilemma. My thoughts about the book: I read What Jennifer Knows in one sitting and let me tell you, the burden of ‘what Jennifer knows’ is certainly felt by Jennifer, as I’m sure it would be for you if you knew what Jennifer knew. Issues of morality and “right” behavior drive the narrative and lead to tensions with her husband who acts as an opposing force to the thoughts Jennifer struggles with inside her head. Couple this conflict with a storyline about Jennifer’s grandson, Tim, and there’s much that unfolds on the pages of Wendy’s book. I especially enjoyed Jennifer’s husband, Gerald, a secretive artist with a celebrity status he wishes to conceal. Also loved the names throughout the book: Freya, Abi, Oliver… But my favorite aspect of Wendy Janes’s book? The themes of secrecy, judgment, and conflicting moral conduct. JULIE: What was the hardest part of writing your book? But she has a dilemma; while supporting her friends with their relationship problems she discovers a secret which she ought to reveal but she prev Jennifer is the kind of woman you would want as your friend. You could share your troubles and your joys with her and she would keep your secrets. A mother and grandmother, she works part time in a school, giving dance therapy lessons to special needs children and lives with her slightly grumpy, but loving husband, Gerald, who is a well-known sculptor. It took a couple of chapters for me to become immersed in the storyline, but once it happened, I had difficulty putting this book down. I was especially impressed with the author’s ability to craft interesting and complex characters. The dilemma that Jennifer faces is one that we’ve seen before, but the way in which Janes brings the reader into the thoughts of the main characters gives it a unique twist. Jennifer’s flashbacks about a romantic relationship in her past gave me more insight into th It took a couple of chapters for me to become immersed in the storyline, but once it happened, I had difficulty putting this book down. I was especially impressed with the author’s ability to craft interesting and complex characters. The dilemma that Jennifer faces is one that we’ve seen before, but the way in which Janes brings the reader into the thoughts of the main characters gives it a unique twist. Jennifer’s flashbacks about a romantic relationship in her past gave me more insight into the woman, and how it may have played into her decision to withhold a similar secret from her two friends. I was intrigued by her relationship with her husband. He could be such an abrasive and unsympathetic person that I could understand why at times Jennifer found herself lost in memories of a former lover. The author did a great job of alluding to certain ideas without giving away too much. However, there was one point where something was hinted at, that I thought for sure would later be confirmed or denied and never was. So if I had one issue with the book, it would be that it left a little too much unanswered—at least to my liking. Though Janes clearly wanted to let readers decide on a few things themselves, I have to admit when I reached the end of the story I craved resolution. An interesting read overall, this book has its set of ups and downs. There are many things that will appeal to the reader and a few which may deter them. But persevering on will ensure that the reader comes away satisfied by the reading experience. On some level, it is a little daunting to read about Jennifer and Gerald, who seem to be role models for the perfect life and couple. However, as we progress through the story, we come to know that not everything is as perfect as it seems. Jennifer st An interesting read overall, this book has its set of ups and downs. There are many things that will appeal to the reader and a few which may deter them. But persevering on will ensure that the reader comes away satisfied by the reading experience. On some level, it is a little daunting to read about Jennifer and Gerald, who seem to be role models for the perfect life and couple. However, as we progress through the story, we come to know that not everything is as perfect as it seems. 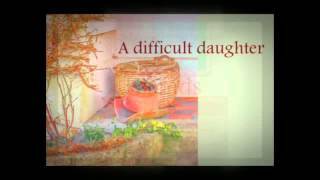 Jennifer struggles with her relationship with her daughter as well as her friendships with Freya and Abi. The main question of morality comes down to whether a friend should share the truth about something they know or withhold it and wait. There is never a right answer or reaction to this and each can have different ends. A trial of relationships, both on the personal front as well as with friends raises a dilemma in Jennifer's mind which forms the crux of this story. What Jennifer Knows is a lovely story about friendship, trust and keeping secrets. Who wouldn't want a friend like Jennifer who is kind, caring and dependable. Jennifer Jacobs works part-time as a dance therapist helping special needs children. Her life is not perfect with a self-absorbed artist husband, a selfish daughter, and a secret in her past that haunts her. When Jennifer meets a new friend, Freya, her life changes and she becomes embroiled in deception after she realizes her new friend an What Jennifer Knows is a lovely story about friendship, trust and keeping secrets. Who wouldn't want a friend like Jennifer who is kind, caring and dependable. Jennifer Jacobs works part-time as a dance therapist helping special needs children. Her life is not perfect with a self-absorbed artist husband, a selfish daughter, and a secret in her past that haunts her. When Jennifer meets a new friend, Freya, her life changes and she becomes embroiled in deception after she realizes her new friend and an old friend share the same man. The characters were real and believable as were the circumstances that can happen in life. I was disappointed in this book. The plot was predictable; the characters were flat and not terribly likable; the ending was abrupt, and there were numerous questions remaining after the last page was read. I am surprised by the many glowing reviews and wonder if I missed something. I love to take real life and turn it into fiction. All my writing develops from the kernel of someone’s experience. My novel, What Jennifer Knows, was inspired by a series of coincidences that happened to my parents. My re-imagining is more plausible, but no less dramatic. What Tim Knows, and other stories explores significant events in the lives of supporting characters from What Jennifer Knows. I love to take real life and turn it into fiction. All my writing develops from the kernel of someone’s experience. My novel, What Jennifer Knows, was inspired by a series of coincidences that happened to my parents. My re-imagining is more plausible, but no less dramatic. What Tim Knows, and other stories explores significant events in the lives of supporting characters from What Jennifer Knows. The heart of their stories is borrowed from other people’s lives and my own. My reading favourites include Graham Greene, Maggie O’Farrell, John McGregor and Liane Moriarty. When I’m not writing I work as a freelance proofreader, helping publishers and authors to polish their books until they shine. I’m also a caseworker for The National Autistic Society’s Education Rights Service, helping parents achieve the right support for their children.